As I mentioned in this post, my focus this year is on the word Content. During the past month, I've been chewing on this word quite a bit. Let's start with the definition... According to Merriam-Webster the definition of content is "pleased and satisfied: not needing more." Each one of us has been created for a certain purpose. Ephesians 2:10 tells us, "For we are his workmanship, created in Christ Jesus for good works, which God prepared beforehand, that we should walk in them." But when we compare our circumstances to others' we can sometimes feel like we are missing out. There are people who started working after I did, who are now in positions ahead of me even within the same company. When comparing ourselves to others who seem to have all the things we want, we can feel discontent and throw ourselves a pity party. But beware of comparing your life to those you feel are worse off than you, because then you open the door for pride to enter your heart. It's better to not compare yourself with anyone except Christ. Basically, we act like Christ! But when our focus is on anything other than Jesus- even slightly, we start looking through the lens of sin. The view out of this lens, is very much focused on our wants and our desires and we look out for the interest of ourselves. It's because of this lack of focus on Jesus that we stop being satisfied in him and start looking for other "things" to satisfy us. And that is really the root of discontentment- not being completely pleased and satisfied with Jesus and thinking we need more than him. 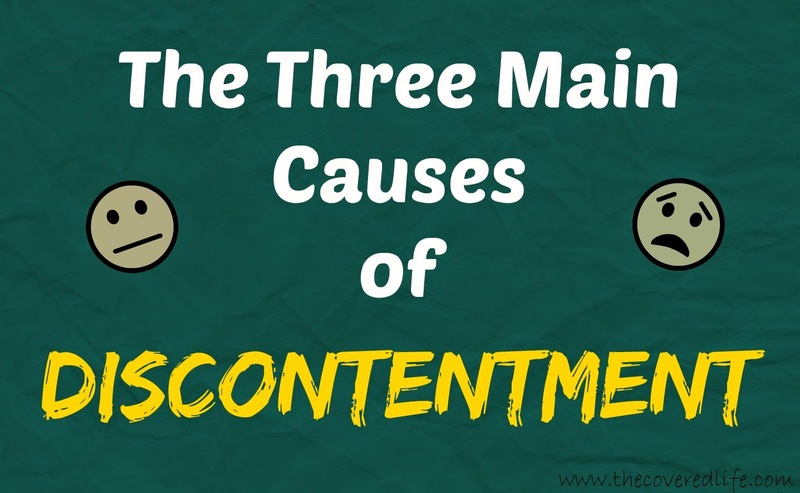 So here are the basic causes of discontentment. I know there are probably many more that I didn't cover so please share them in the comments below. And stay tuned for Part 2, where I will discuss how to combat discontentment.